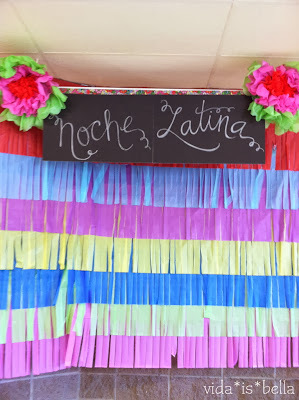 This is such a fun project for any party, and especially great for a Latin themed party, as it resembles a piñata! It's also cheap because it's made of plastic table cloths that can cost as low as $1 each. We simply unfolded the tablecloths and slit them down the middle so they were skinnier. We then folded them up and fringed them so that half the width was fringed. And all we had to do was line them up on the wall, overlapping the fringe. We did all the sticking together with clear packing tape. We used 2 tablecloths of each color, cut in half longways so that the entire width of the wall could be covered (4 tablecloths wide). We weren't sure how the hanging on the wall would go so we hung up the first color by itself using packing tape onto the ceiling. We ended up having to tuck it in between ceiling tiles to ensure it would stay up when the other colors were taped onto it. We layed the rest of the colors out on the cafeteria floor and taped them all together and to each other so that we could attach just the teal to the red vertically. To finish it off we covered the projector screen with a sign and two giant flowers made of plastic table covers. 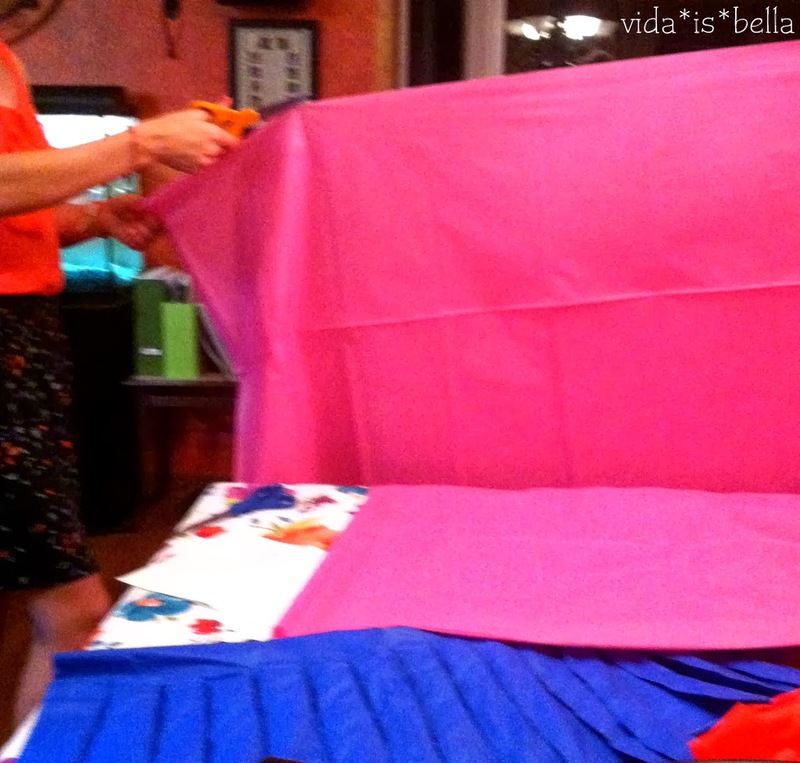 It added so much to our party, creating a bright focal point and covering an ugly wall. 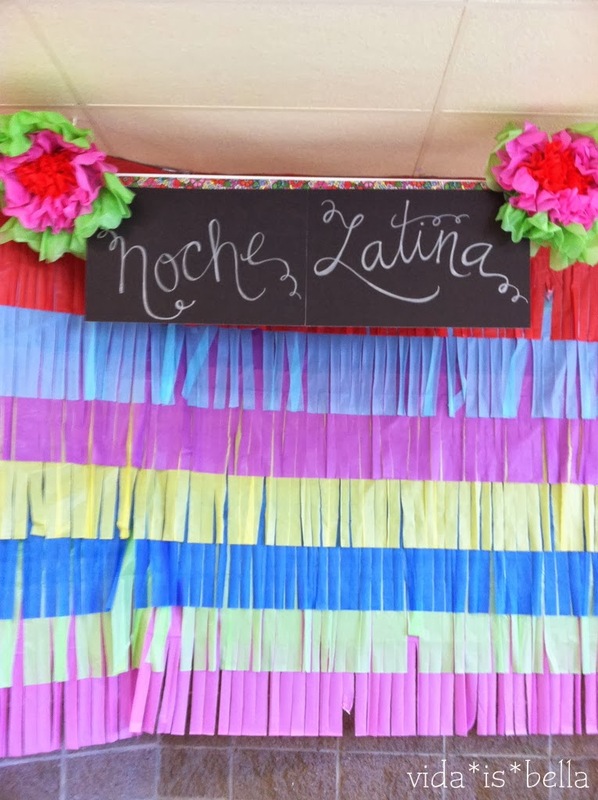 And check out our party decorations for the Noche Latina last year.